Living healthier doesn’t mean overhauling your whole life. Small changes to your daily routine such as eating well, relieving stress and getting active can make a big difference in preventing heart disease and stroke. That’s why we invite you to take the #HeartHealthChallenge today and start building a healthy habit for life. You’ll reduce your risk factors while raising funds to support the next breakthrough in prevention and recovery. Click the “GET STARTED” button above or the start button at the top the page. Select Individual Fundraiser when prompted to start your own challenge, or select Team Fundraiser if you are asking family, friends or coworkers to join you the same challenge with you. Enter the last day of your challenge as your Event Day. Show your pride: Update your personal page and post about your challenge on social media using the hashtag #HeartHealthChallenge, as well as the images and samples provided below. Plus, register your challenge by July 1st, 2018 for a chance to win one of four Fitbit® Alta™ fitness watches. Click here for contest rules and regulations. Need more help? Learn how to start your own Individual or Team Fundraiser. 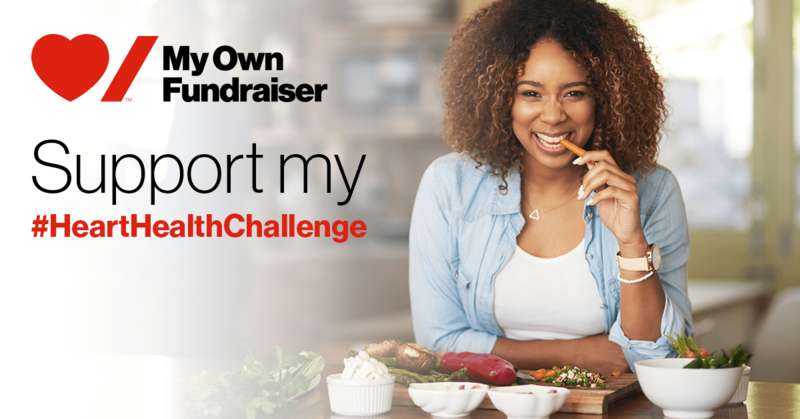 Encourage your friends, family, coworkers and other community members to show their support for your #HeartHealthChallenge by making a donation to your personal fundraising page, or dare them to join you! Did you know that 80% of premature heart disease and stroke is preventable? Healthy lifestyle choices like eating well, relieving stress and staying active can make a big difference in reducing your risk for heart disease and stroke. That’s why I’m accepting Heart & Stroke’s #HeartHealthChallenge. For the next [insert duration], I am choosing to [insert #HeartHealthChallenge]. It’s a fun way to learn how easy it is to build a healthy habit or reach a wellness goal while raising funds to support life-saving research. Every dollar we raise will bring Heart & Stroke researchers closer to the next breakthrough in prevention and recovery. 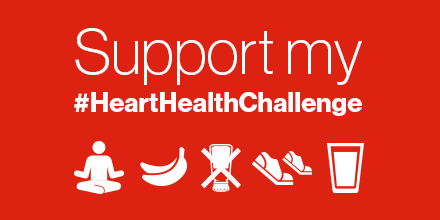 I hope you’ll support my commitment to creating a healthy habit for life with Heart & Stroke’s #HeartHealthChallenge. Your donation will help give Canadians: More hope. More time. More life. Did you know that heart disease is the leading cause of premature death among women in Canada? In fact, women are 5x more likely to die of heart disease than breast cancer. We are under-researched, under-diagnosed, under-treated and under-supported during recovery compared to men. The 2018 Heart Report reveals how we got here, and why it’s urgent that we smash this glass ceiling. Heart & Stroke is doing their part by increasing support for women and Indigenous scientists in research. I’m doing my part by accepting the #HeartHealthChallenge! For the next [insert duration], I am choosing to [insert #HeartHealthChallenge]. I probably reached out to you already about my #HeartHealthChallenge in support of Heart & Stroke. I’m building a healthy habit for life while raising funds for life-saving research in prevention and recovery. That’s where you come in. And trust me, your part is easy. All you need to do is donate! My part is a little tougher. 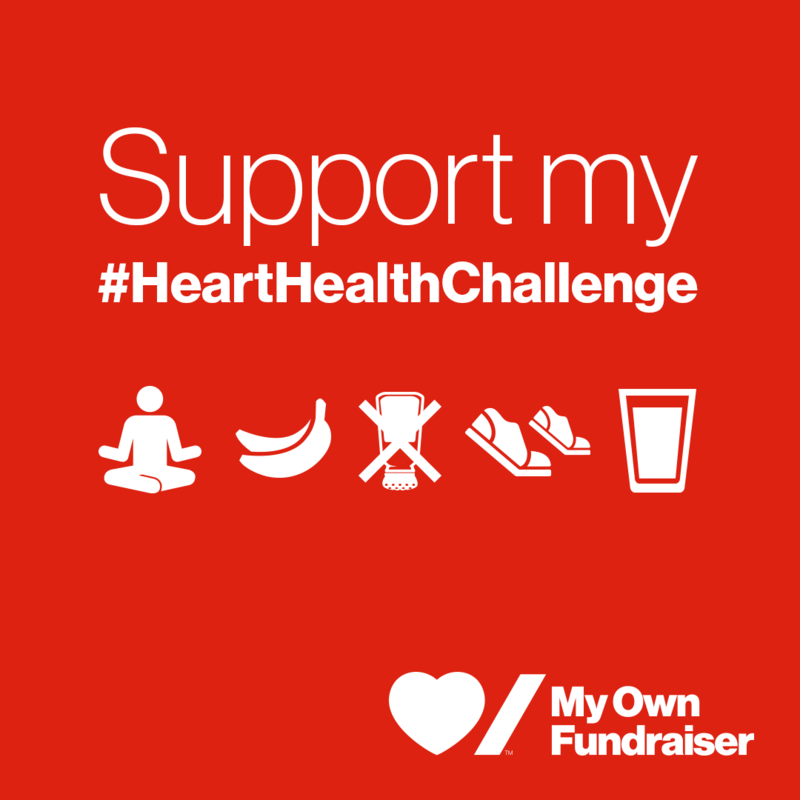 I’m taking Heart & Stroke’s #HeartHealthChallenge to raise [insert fundraising goal] by [insert Event Date]. For the next [insert duration] I am choosing to [insert #HeartHealthChallenge]. I’m already [#] days in and feeling healthier than ever! You might be wondering why I’ve chosen to do this particular challenge. I wanted to find a simple way of improving of my health without disrupting my day-to-day. This challenge is one that I’ve created just for me! It fits my daily routine, giving me the best chance at success. You will be funding life-saving research, which has led to research breakthroughs including one that uses high-tech equipment to remove blood clots so effectively it cut the death rate from stroke by 50%! If you donate then I have no excuse to quit. You are my motivation to keep going! I'm your favorite person ever. We are working hard to generate a 25% reduction in the death rate from heart disease and stroke by 2020. Why not help us get there sooner? Update your cover or profile image to promote your fundraising efforts and post one of the suggested statuses below with a link to your personal page. Copy and paste the samples below to a new tweet with a link to your personal page. Don’t forget to tag @TheHSF! We want to see your progress! Show your pride by sharing the image and captions below. That’s why I’m accepting Heart & Stroke’s #HeartHealthChallenge. For the next [insert duration], I am choosing to [insert #HeartHealthChallenge]. My goal is to raise [insert fundraising goal] for life-saving research by [insert Event Date]. Help fund the next breakthrough by supporting me today. You can help give Canadians more: More hope. More time. More life. Did you know that heart disease is the leading cause of premature death among women in Canada? I’m doing my part by accepting the #HeartHealthChallenge! For the next [insert duration], I am choosing to [insert #HeartHealthChallenge]. My goal is to raise [insert fundraising goal] for life-saving research by [insert Event Date]. Help fund the next breakthrough by supporting me today. Together, we will transform the future of women’s heart health!